I success in life is landing a good job, and the ability to excel in it, the significance of becoming the right candidate can only be overvalued. It takes a skilled employee, to fit into the mould of a desirable job, one needs to possess leadership qualities, be a great team member, a learner and a mentor, one with great emotional intelligence…. the list is endless. With these and many more demands made of an ideal job candidate, getting a headstart in acquiring skills is now being acknowledged to be of prime importance. Skill education is garnering popularity due to awareness and understanding about the need to develop skills for suitable employment. The Central Board of Secondary Education (CBSE) is following an international curriculum to make children proficient in English. “For this, students take Preliminary English test and Key English Test (KET) exams that are reviewed by international faculty and KET being Cambridge Key English Test, students get to learn from the best authority on the language,” informs Krit Serai. Clearly now, the school curriculum is broader in its approach to make a child not just academically strong but also empowered to adapt in a professional environment. “It is imperative now that the children are imparted 21st century skills. Communication skills are most important, so are emotional skills, creative skills – all these are basically life skills. 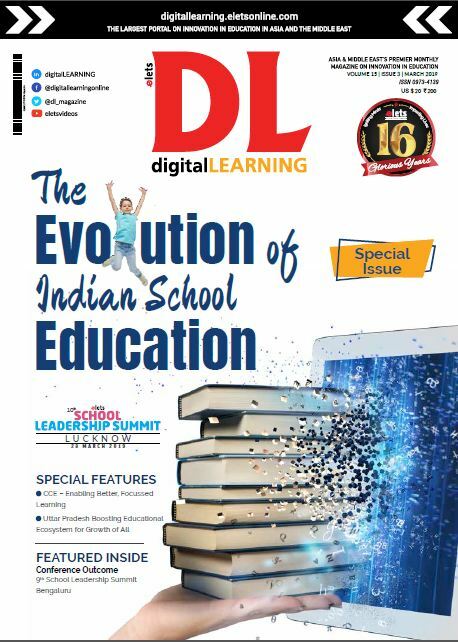 These are embedded into the curriculum from Class VI onwards and are aimed at making a whole- some personality of the child,” feels Jaya Bhardwaj, Principal of Hansraj Public School, Panchkula. “Even the structure of question papers, students’ assessment is all oriented towards enhancing their personality that would help them in future life,” she adds. With this early beginning being made to empower the students and ready them for future challenging professional roles, there is an increasing demand for trained teachers who are specialised in dealing with all aspects of child’s personality. Education, especially at the school level, when children are at the stage of learning basics in life, is now increasingly getting more oriented towards employing experiential learning methods and impart business skills that help them understand the world of work. It is also the best way to ensure that there are skilled workers available tomorrow to grab the opportunities. “Not every child is brilliant in academics. His personality might have other capacities that a studious child might lack. Identifying these strengths and weaknesses, giving an environment for every personality to prosper and brighten, is all that school education is about now. Skill education gives children a direction in life. Organising a range of events, involving children in a wide range of activities brings out their other talents and strengths that can be worked on to help prepare them for later life. 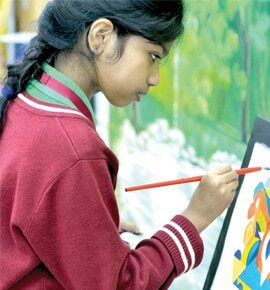 The idea is to give an impetus and opportunities to explore and better themselves,” says Archana Jain, Principal of DPS, Panipat. Empowering students with skills enables them to turn their creative ideas into innovations. Orienting school curriculum more and more towards teaching students, life skills is the best investment for preparing a workforce for the future that will fuel the economy. It is little wonder that these skills are now being referred to as the new building blocks for learning.